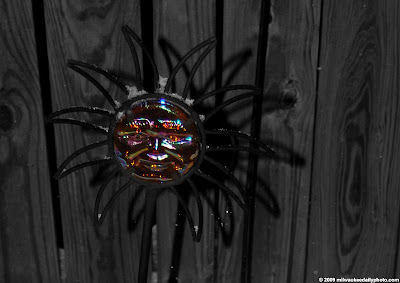 This decoration stands in the garden in our backyard. The metal support has a sunburst at the top with a molded glass center. The metallic tint of the glass reflects sunlight (or in this case, a flash) and colors the garden while the we wait for the flowers to bloom again.